Manufacturer offers recycling systems that pioneer the use of vibratory separation. These systems provide a consistent and energy efficient means of sorting and recovering reusable resources, and separating valuable material from unsalvageable waste. Efficient recycling systems make use of patented Finger Screen and De-Stoner units to sort recyclable materials without a high requirement for energy or labor. 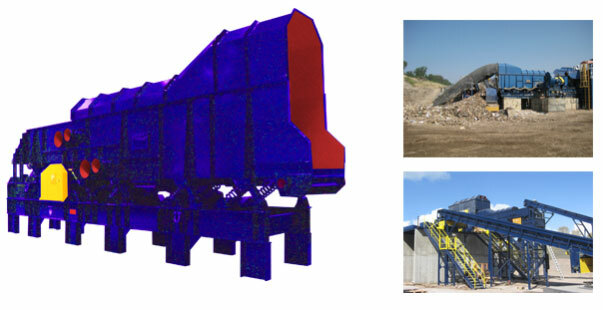 Manufacturer designs complete material salvage systems, but can also work with an existing provider to supply vibratory recycling screens to an already existing system. Two types of complete systems are detailed below: Construction & Demolition (C&D) Systems, and Multi-Stream Recycling Systems. 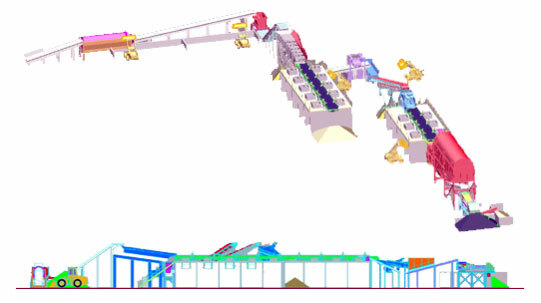 Each is comprised of a series of sorting machines and feeders that work together to deliver efficient throughput of materials. Construction & Demolition Systems allow for salvage of the great amount of material waste generated by residential home construction and demolition. 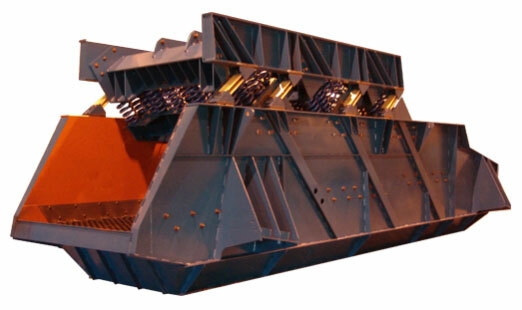 Vibratory technology is incorporated into the recycling screens, which efficiently classify and sort various materials. A combination of Finger Screens, De-Stoners and secondary processing solutions is structured to maximize throughput and debris recovery, while delivering consistent and dependable results. Multi-Stream Recycling Systems are designed to maximize versatility and flexibility, allowing you to alternate between the functionality of several different recycling systems with a single series of machines. 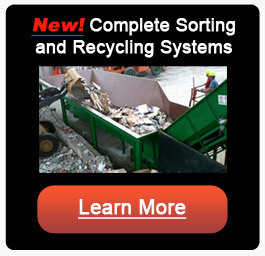 These flexible systems can handle C&D, MRF, MSW and single stream recycling needs. Designed for utmost flexibility in handling low inbound tonnages. Systems can be run single-line (for increased efficiency), or with both an A and B line in operation (resulting in a more refined sorting process). Material infeeding is designed to allow for a bag opener for municipal waste or a bypass feeder for C&D materials (and other bag-free materials). MRF Recycling System for Tulsa Recycling and Transfer of Tulsa, Oklahoma to recover cardboard, plastics, metals, paper print, wood, non-ferrous metals. Finger Screens are used for initial separation, followed by a vibratory screen to pick out fine materials and dust, and patented De-Stoner for air-powered density separation. The combination of these technologies results in materials that are sorted by both size and density. Ferrous separation technology can also be included, if iron classification/removal is a relevant concern. 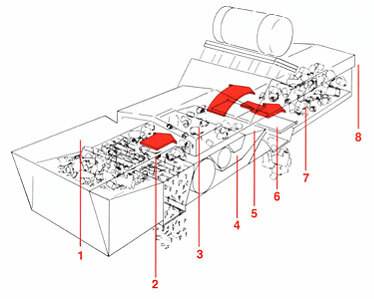 Non-binding Finger Screens are an integral part of many recycling systems. The tapered fingers are arranged in a staggered pattern, allowing for efficient material flow while providing undesirable material bypass. There is open space below these recycling screens, allowing materials to freely fall. Multiple decks can be arranged vertically, to allow materials to cascade down into a multi-tiered classification. Finger Screens have significant advantage over conventional recycling screens composed of wire mesh, as they are less prone to catching, binding, and damage. Vibratory activation eliminates jamming while also providing even material distribution across the entire surface of the recycling screens. Vibratory OCC (Old Corrugated Container) screens offer a non-rotating design that eliminates material wrapping and hang-ups. This vibratory technology replaces less-reliable rotary OCC disc recycling screens, providing necessary size separation without fluffing paper. 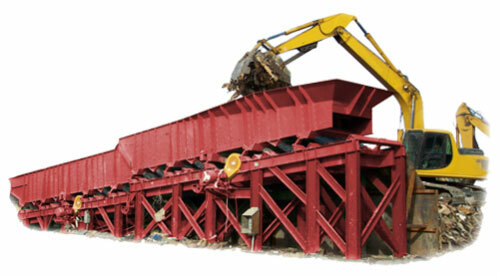 Shingles recycling system to recycle residential asphalt shingles into a granular product for asphalt industry. Manufacturer’s patented De-Stoner is a dry system for classifying material density, eliminating the need for water handling and the mess of “wet system” density separation. Vibratory activation stratifies materials based upon density. Materials are conveyed into a high velocity / low-pressure stream of air, and the terminal velocity of material particles sorts them according to density. Heavy items (including glass, metals and stone) are removed from the stream via a discharge chute, while lighter objects are pushed forward and separated. Materials of intermediate density are collected on an adjustable slope plate and routed into the discharge chute. De-Stoner units are available with one, two or three total air chutes (referred to as Single Knife, Dual-Knife and Triple-Knife systems). Additionally, an air recirculating system can be added to the unit, increasing overall unit efficiency.